Justice Oluremi Oguntoyinbo of the Federal High Court sitting in Ikoyi, Lagos, on Thursday, May 17, 2018, described as “judicial rascality” the issues raised by a businesswoman, Bola Shagaya, in an application seeking an order of the court to set aside the ruling given by Justice M.S. Hassan of the same court ordering the interim attachment of her account pending conclusion of investigation‎. The Economic and Financial Crimes Commission, EFCC, had on December 29, 2016, secured an order of Justice Hassan to freeze a Unity Bank account with a balance of N1,902,673,399.93 belonging to Shagaya. The money was the balance of a total of N3,305,150,000, which Shagaya allegedly received as “Finder fees” on behalf of an organisation, “Women for Change” being promoted by a former First Lady, Mrs. Patience Jonathan. It was further alleged that the N3.3bn was realized through Shagaya’s fraudulent activities in the Nigerian National Petroleum Corporation, NNPC, where she was said to have influenced the allocation of Dual Purpose Kerosene ‎to Index Petrolube Africa Limited, with the aid of the former First Lady. The N3.3bm was allegedly paid by Index Petrolube Africa Limited and ‎sister company, Autodex Nigeria Limited, which are said to belong to Hon. Ezeani ThankGod. 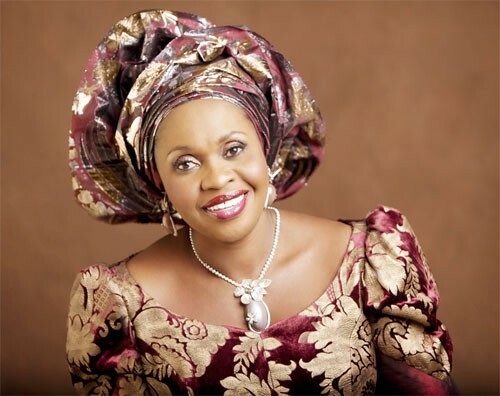 Out of the N3.3bn, Shagaya was said to have “paid a cumulative sum of N1,212,000,000 to the former First Lady through her '‘Women for Change Initiative" account domiciled in Diamond Bank, to which the former First Lady is ‎the sole signatory.”. Shagaya allegedly "warehoused" the balance of N1.9bn in her account in Unity Bank. that the ruling was unconstitutional, null and void as same violates her right of fair hearing as guaranteed by Section 36(1) & (2) of the 1999 Constitution. She is also seeking a declaration that she has the right to own movable properties as guaranteed by Section 44(1) & (1c) of the 1999 Constitution. In response to the application, the EFCC, in a nine-paragraph counter- affidavit deposed to by Musbahu Yahaya Abubakar, an investigator with the EFCC, urged the court to dismiss the prayers of the applicant and declare it an abuse of court process. At the resumed hearing today, Justice Oguntoyinbo dismissed the application and held that an interim order of the account of the applicant or forfeiture of her account pending investigation and prosecution did not violate her right to fair hearing. after the commencement of investigation, the Commission can attach a property to last till the commencement of criminal trial. “The order made by Honorable Justice M.S. Hassan was made within jurisdiction and this court cannot stand as an appellate court against its decision. This suit is an appeal presented in form of originating summons by asking the court to preview the status of a court of concurrent ‎jurisdiction, it is a judicial rascality."